14 DAYS PRIOR TO ARRIVAL DATE.. 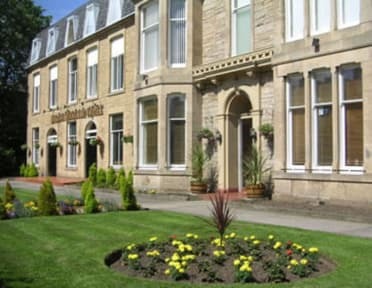 The Northumberland Hotel is a family run hotel situated only 1.7 miles from the City centre. 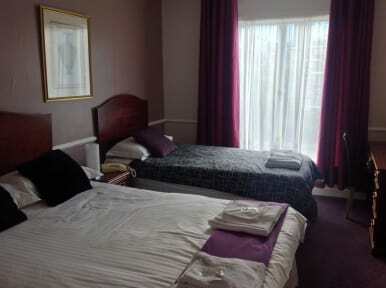 The hotel has been recently refurbished to ensure that each guest’s stay is as comfortable and enjoyable as possible. The Northumberland is ideally located for guests to visit all that the historic city of Edinburgh has to offer. Very Close To Edinburgh University . All 22 rooms are en suite and are fully equiped with a direct dial telephone, hairdryer, tea/coffee making facilities and colour television. Wireless broadband is availalble. Iron & ironing board and cots are also available on request. A selection of rooms at the Northumberland have access to a terrace. Guest can start their day by sitting down to enjoy the continental breakfast included in the price. The hotel has the benefit of a large private car park. Guests can leave the car behind and jump on to one of the frequent buses just outside the hotel. It’s just a 15 minute journey in to the city to explore all that Edinburgh has to offer.